To claim this profile, please confirm you are Weston Sullivan. To follow this profile, please let us know your relationship to Weston Sullivan. RESULTLoss Boys varsity lacrosse vs. Heritage. 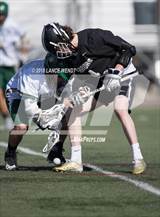 The Palmer varsity lacrosse team lost Friday's home conference game against Heritage (Littleton, CO) by a score of 12-4. RESULTLoss Boys varsity lacrosse @ Lewis-Palmer. The Palmer varsity lacrosse team lost Wednesday's away conference game against Lewis-Palmer (Monument, CO) by a score of 3-1. RESULTLoss Boys varsity lacrosse @ Regis Jesuit. The Palmer varsity lacrosse team lost Monday's away conference game against Regis Jesuit (Aurora, CO) by a score of 16-0. 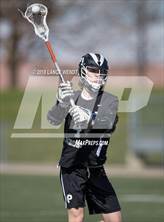 Weston's lacrosse stats have been updated for the loss @ Denver South. RESULTLoss Boys varsity lacrosse @ Denver South. 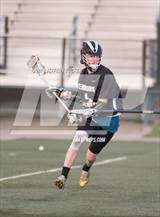 The Palmer varsity lacrosse team lost Saturday's away conference game against Denver South (Denver, CO) by a score of 8-4. Weston's lacrosse stats have been updated for the loss vs. Pine Creek. RESULTLoss Boys varsity lacrosse vs. Pine Creek. The Palmer varsity lacrosse team lost Wednesday's home conference game against Pine Creek (Colorado Springs, CO) by a score of 7-6. 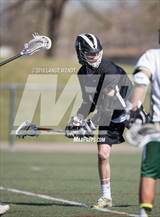 RESULTLoss Boys varsity lacrosse @ ThunderRidge. The Palmer varsity lacrosse team lost Thursday's away non-conference game against ThunderRidge (Highlands Ranch, CO) by a score of 16-5. RESULTLoss Boys varsity lacrosse @ Vail Mountain. The Palmer varsity lacrosse team lost Wednesday's away non-conference game against Vail Mountain (Vail, CO) by a score of 14-2. RESULTLoss Boys varsity lacrosse @ Boulder. The Palmer varsity lacrosse team lost Saturday's away non-conference game against Boulder (CO) by a score of 14-8. RESULTLoss Boys varsity lacrosse @ Denver East. The Palmer varsity lacrosse team lost Wednesday's away conference game against Denver East (Denver, CO) by a score of 12-3. RESULTWin Boys varsity lacrosse vs. Pueblo West. The Palmer varsity lacrosse team won Friday's home non-conference game against Pueblo West (CO) by a score of 14-6. 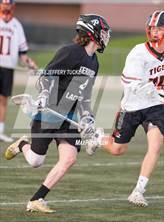 Weston's lacrosse stats have been updated for the win @ Smoky Hill. RESULTWin Boys varsity lacrosse @ Smoky Hill. The Palmer varsity lacrosse team won Tuesday's away non-conference game against Smoky Hill (Aurora, CO) by a score of 13-6. Weston's lacrosse stats have been updated for the win vs. Bear Creek. RESULTWin Boys varsity lacrosse vs. Bear Creek. The Palmer varsity lacrosse team won Thursday's home non-conference game against Bear Creek (Lakewood, CO) by a score of 13-5. 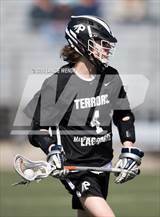 Weston has been added to the Palmer lacrosse roster. The Palmer varsity tennis team has not entered their place at their playoff match: "Class 5A Region 1." RESULTLoss Boys varsity tennis @ Doherty. The Palmer varsity tennis team lost Thursday's away conference match against rival school Doherty (Colorado Springs, CO) by a score of 5-2.